Oh Hey, Good to be Back! Hey everyone, hope you had a fabulous week we've got a tassel overload here. Wait what!? Is that even possible!? Never! When we pair tassels with tassels we know it's going to be a great day. 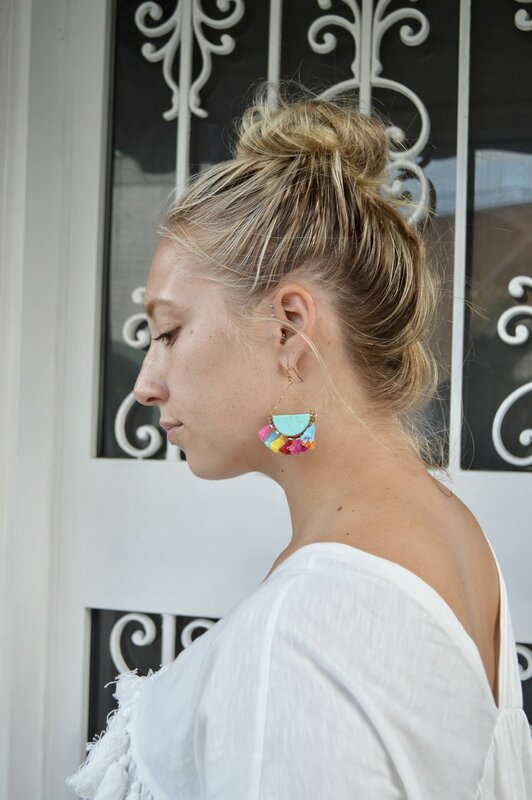 These colorful cuties from The Impeccable Pig are adorable and seem to always add the perfect pop of color. 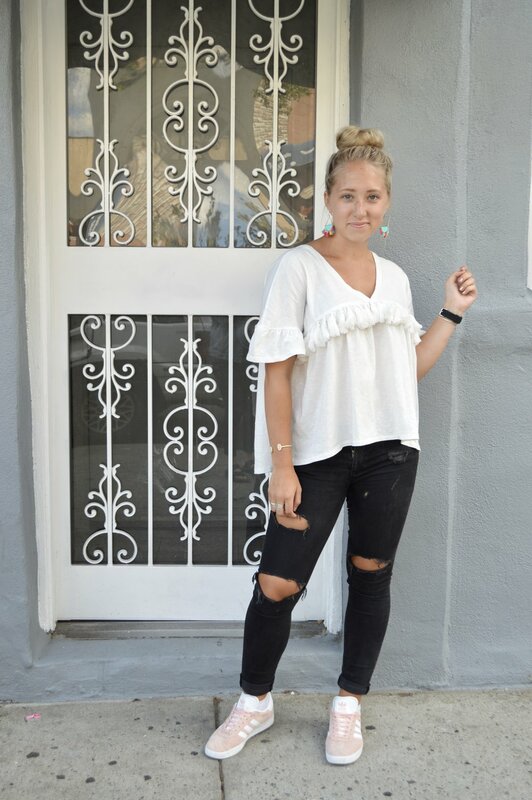 On the opposite side of things I'm keeping things basic with a white tee and still wearing short sleeves while the weather allows it, although I am one of the few awaiting falls arrival, a.k.a layering season! I've been paying a lot of attention to my closet lately taking note of things I feel I don't have enough of and things I feel I have too much of, in doing this I've notice that tops are what I've been lacking. So naturally I went to Zara and bought three new tops, this being one of them. I really enjoy the simplicity of this shirt, It's a piece that will allow for me to get my moneys worth out of it, by wearing it many times in multiple different ways. Versatility is key for getting your moneys worth. There is something about this shirt that is so easy on the eyes. It has a comforting and soothing look. The oversized fit is amazing, optimal wiggle room and flow-y awesomeness. 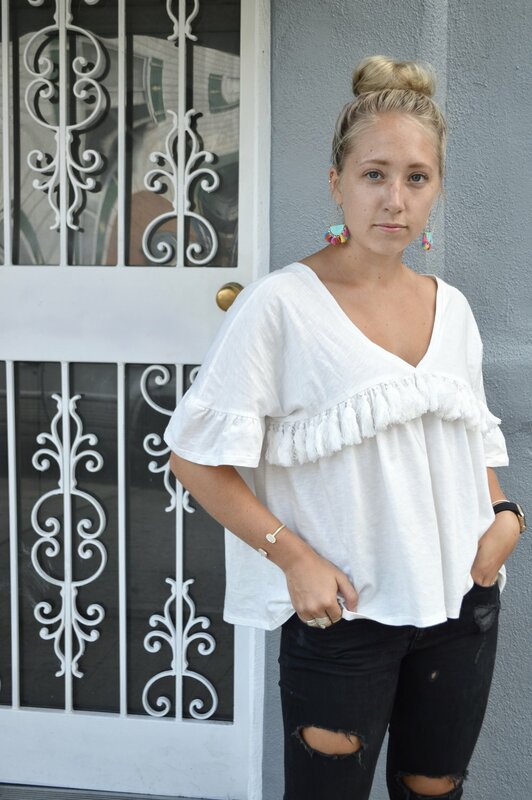 A shirt with this structure doesn't come around often and I personally love a white t-shirt that isn't see through, which is so hard to come by! Sale alert!! My adidas, ice pink sneaks are on sale for half their original price! Don't miss out on a great deal. These sneaks will add a nice touch to your next street style look!